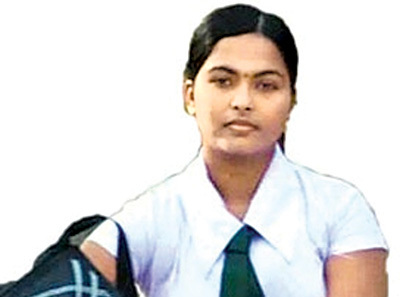 The murder trial of schoolgirl Sivaloganathan Vidya will begin before a three member bench at the Jaffna High Court today. The three member bench will be headed by High Court Judge Balendran Sashi Mahendran and comprises Judges Annalingam Premashankar and Manickavasagar Chelian. Chief Justice Priyasath Dep appointed a three member bench to hear the schoolgirl Sivaloganathan Vidya murder case on May 22. The Chief Justice had decided that the case should be heard in the Jaffna High Court.The Chief Justice appointed the three Judge bench after the Attorney General published information in the Jaffna High Court and took steps under the Criminal Procedure Code and informed him in writing about it. The ‘Daily News’ exclusively reported on May 6 that Attorney General Jayantha Jayasuriya PC had requested Chief Justice Priyasath Dep to appoint a High Court Trial-at-Bar to hear the murder of Sivaloganathan Vidya. A team of lawyers headed by acting Attorney General Dappula de Livera PC will lead the prosecution. Vidya Sivaloganathan of Pungudutivu, an 18-year-old student was abducted, raped and murdered while returning from Pungudathivu Vidyalaya on May 13, 2015.